The Royal Newfoundland Constabulary says an incident at a home in the Bayview Heights area of Conception Bay South has resulted in the arrest of a 26-year-old. The Royal Newfoundland Constabulary say an incident at a home in the Bayview Heights area of Conception Bay South has ended safely, with one man in custody. Police say they were called to a home in the subdivision just before 4 a.m. Saturday after receiving reports of a man in distress inside the home. 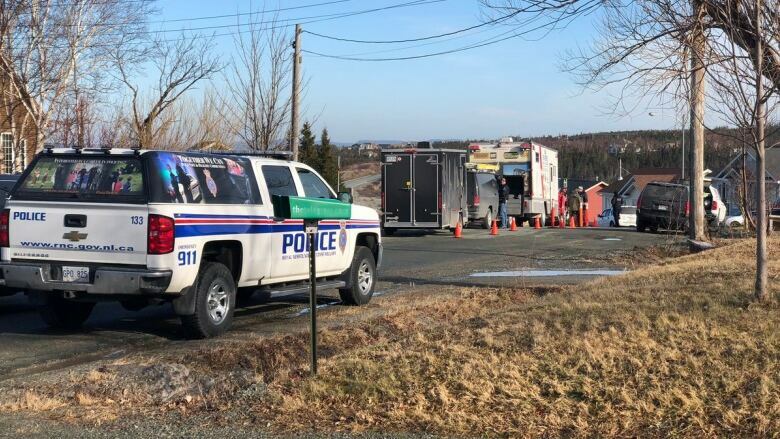 The RNC said patrol officers, as well as police dog services, the explosives disposal unit, forensic, criminal investigation and tactics and rescue officers responded to the call. A search and rescue team and an ambulance were also on scene Saturday morning. Police said a 26-year-old man was arrested without incident shortly before 2 p.m. He is charged with possession of a firearm for a dangerous purpose, careless use of a firearm, unauthorized possession of a firearm, possession of a firearm contrary to court order and breaches of a court order. The man also had outstanding warrants for his arrest. He was held and will appear in Provincial Court on Sunday. ⚠️ADVISORY⚠️ We have our resources on scene in the Bayview Heights area of <a href="https://twitter.com/TownofCBS?ref_src=twsrc%5Etfw">@TownofCBS</a>. We are asking the public to remain away from the area as we work to ensure safety. The public were asked to remain away from the area during the incident, "to ensure safety." The RNC said there is no concern for public safety, but were unable to provide any further information.